On our final day in New Zealand, we awoke early, surrounded by snow capped mountains. It was a cold morning, but it had been an even colder night, so getting up was easy and welcome. We hit the road before sunrise, excited for our first stop of the day—Mt Ngauruhoe. 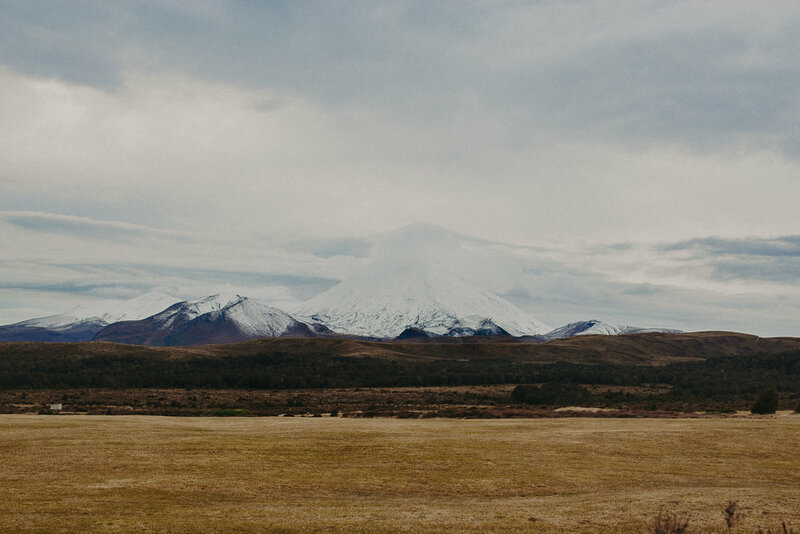 Mt Ngauruhoe is New Zealand's most active volcano and it's also featured as "Mt Doom" in The Lord of the Rings. We had seriously considered doing the Tongariro Crossing, which takes you up and over Mt Ngauruhoe. But with so little time and what looked to be quite a bit of snow, we decided against it. However, it's definitely on my bucket list for the future! 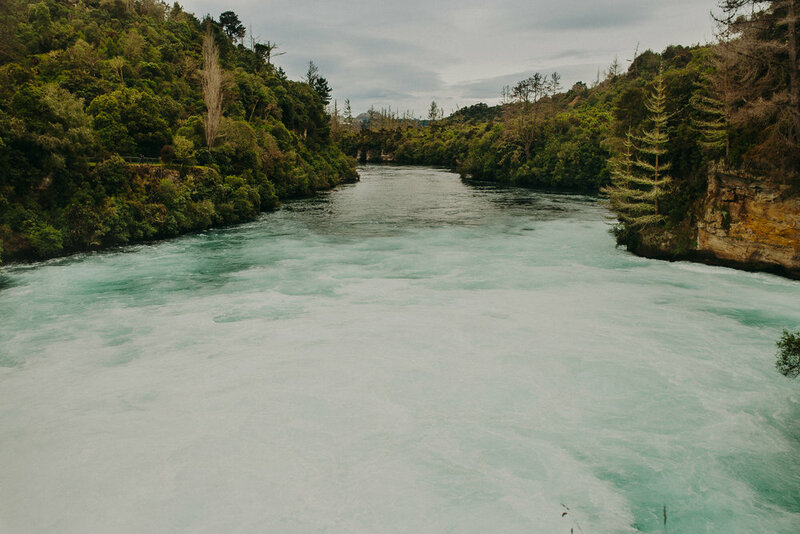 After our morning in the mountains, we drove down to Taupo where we explored some of the geothermal hot springs and one of our most anticipated stops—Huka Falls. This waterfall is breathtakingly blue, with enough water to fill 5 olympic sized swimming pools falls every minute! We then drove into town for brunch at Victoria's Cafe, which was incredible! I ended up getting the special, french toast served with lemon curd and fresh berries, and wow... It was by far the best french toast I have ever had! I'm definitely going to try my best to recreate it, one day! 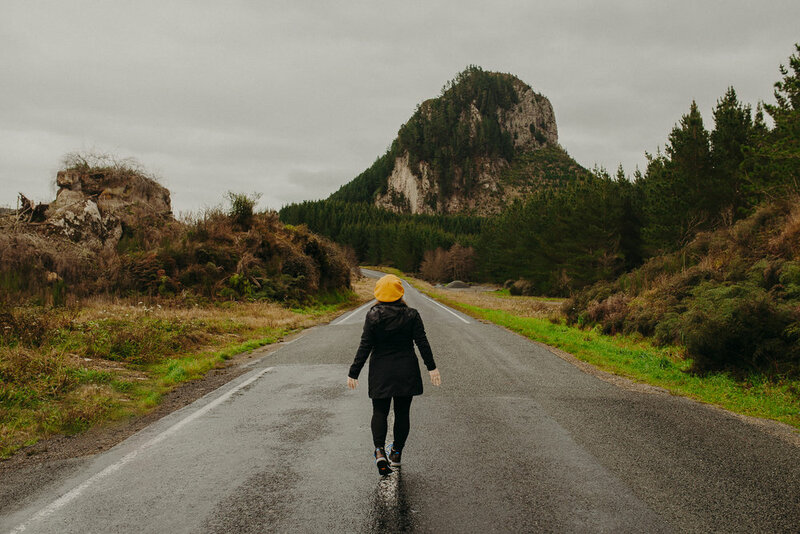 After warming up in the cafe and enjoying our meal, we decided to make our way to Rotorua to get in a few more adventures before driving back to Auckland. 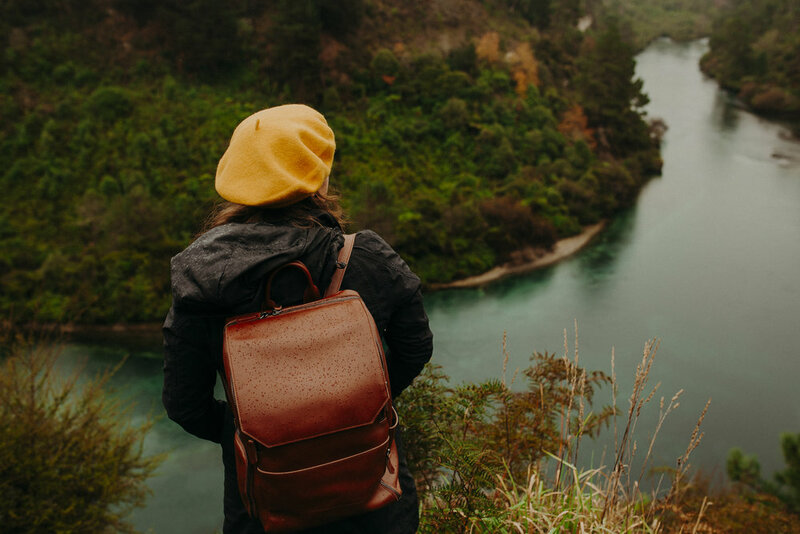 Along the way, we stopped to admire the Waikato River as well as a lonely peak that was on a side road between Taupo and Rotorua. These two stops, while not being on any visitor guide, were two of my favorites! 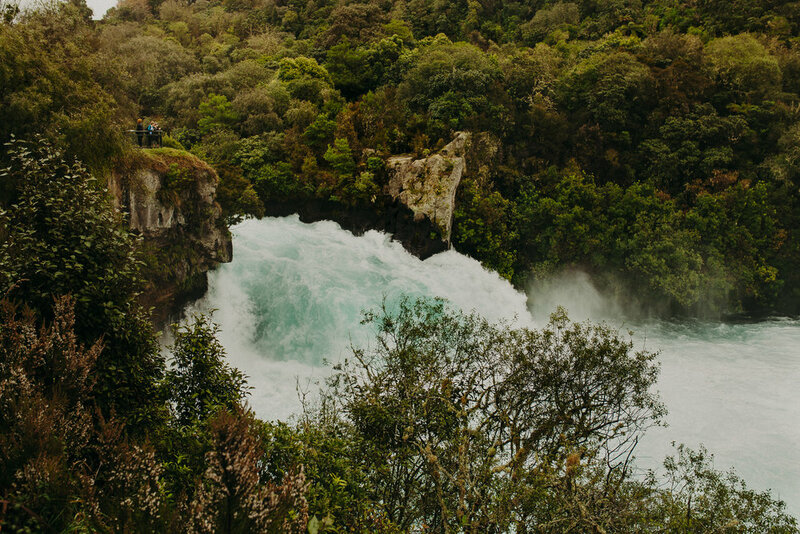 We had them to ourselves which is part of the magic of visiting New Zealand. The colors of these two landscapes were vibrant and a stark contrast to the grey clouds that filled the sky.